Rumor has it each time Woody Allen visits Paris, he books a room in his favorite hotel: Le Bristol. He even shot Midnight in Paris there. It's no surprise that this five-star hotel, which is part of the Oetker Collection, is in demand with the greats of fashion, politics, movies, and finance. Since it opened in 1925, it is known for its historic architecture, luxurious interior, impeccable service, and fine dining experiences. 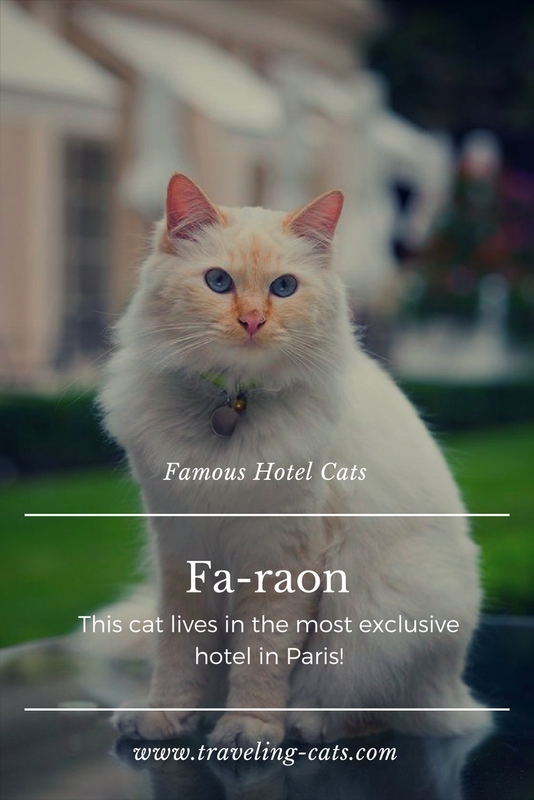 But there's another reason why this hotel attracts raving fans the world over – Le Bristol has a resident cat: Fa-raon (French for pharaoh). 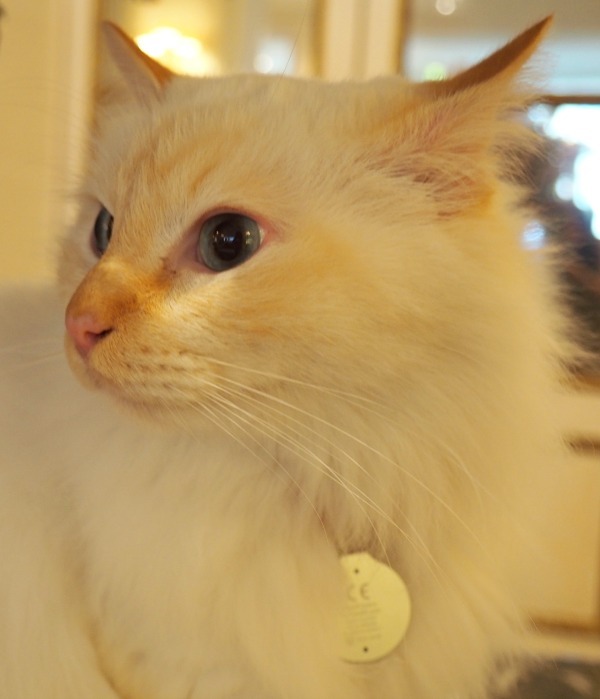 With its silky soft fur groomed to perfection, this Birman kitty oozes luxury and reflects the high standards of Le Bristol. Didier Le Calvez, the hotel's CEO, adopted Fa-raon in 2010. 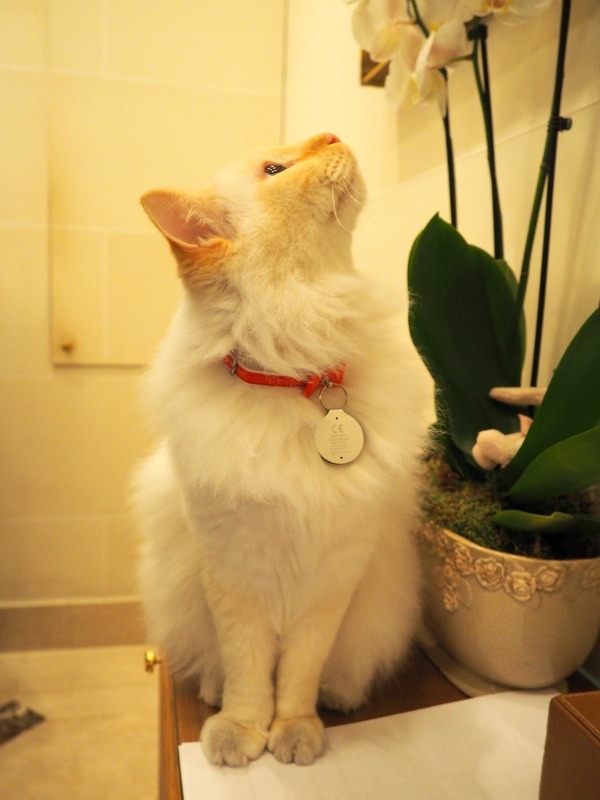 He picked the Birman breed for its gentleness and because its creamy coat matched the hotel's interiors. Fa-raon has been roaming Le Bristol ever since. He loves to meander down the luxurious corridors, greet entering customers from the stairs near the entrance, or nap in the garden if the Parisian weather permits. His favorite hobby: perching on the glass showcases in the lobby. However, he knows he is not allowed to go to inside the restaurants or near the swimming pool overlooking the Sacré-Coeur. 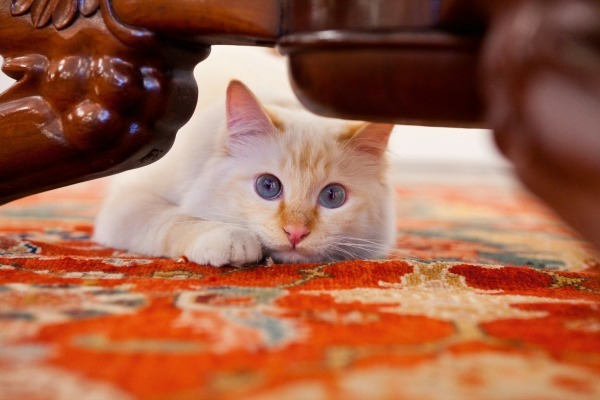 The cat also has his little hiding spots. He loves to tuck himself away behind desks and screens or under a chair, particularly at the Standard or behind the reception desk. The Castellane lounge is one of his favorite places for a siesta. He possesses a room of his own which he can enter at all times through a cat door and which contains his litter box, cat bed, and food bowl. The walls in this room are decorated with drawings of Fa-raon made by the children who have visited Le Bristol. 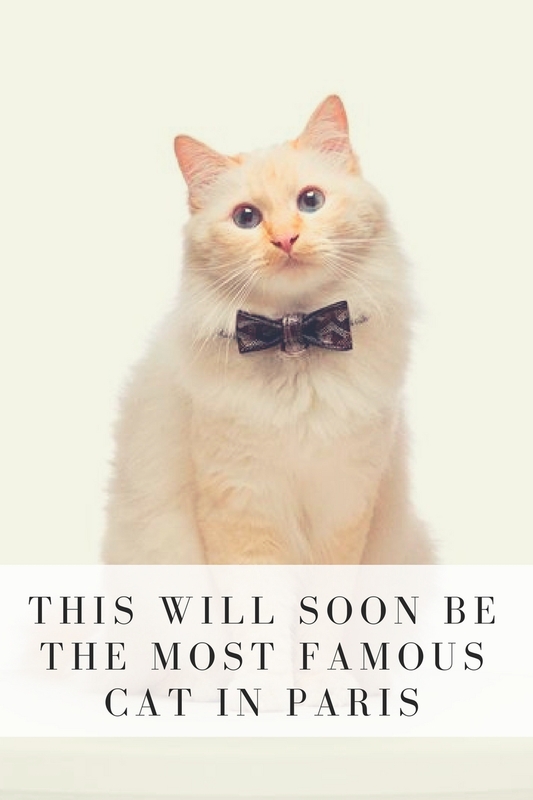 Ever since Fa-raon arrived at the hotel, journalists have been enquiring about him and photographers have been requesting shoots, thus turning Fa-raon into one of the most mediatized cats in the world. 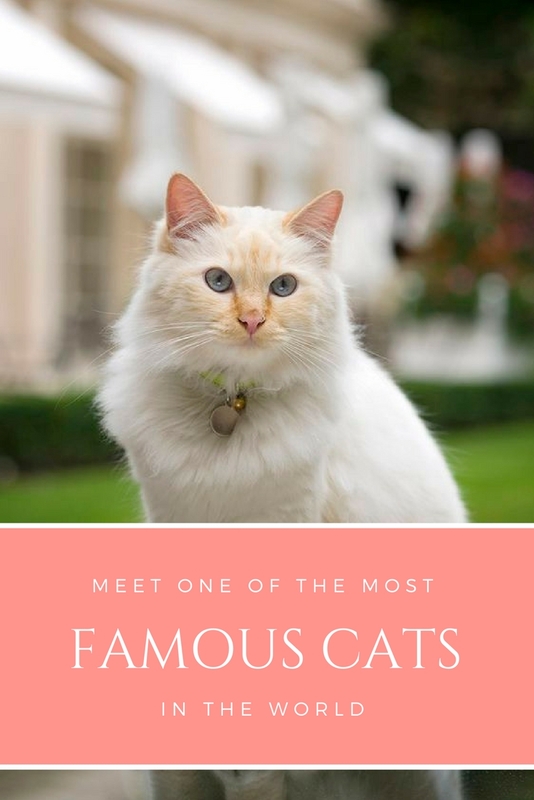 This fluffy feline is famous, and the staff knows it. Meeting and photographing Fa-raon happens similarly as interviewing a Hollywood star. I was given no more than 10 minutes to catch this feline celebrity on camera, all the while being supervised at all times. When I asked about some funny anecdotes, the press officer answered, "That is confidential information." He surely knew how to pose. He stayed calm and showed his best profile, obviously used to the attention. And not only the media love him. Regular clients of Le Bristol often bring him kibble and other presents. “Fa-raon is a true member of the Bristol family,” the press officer said. 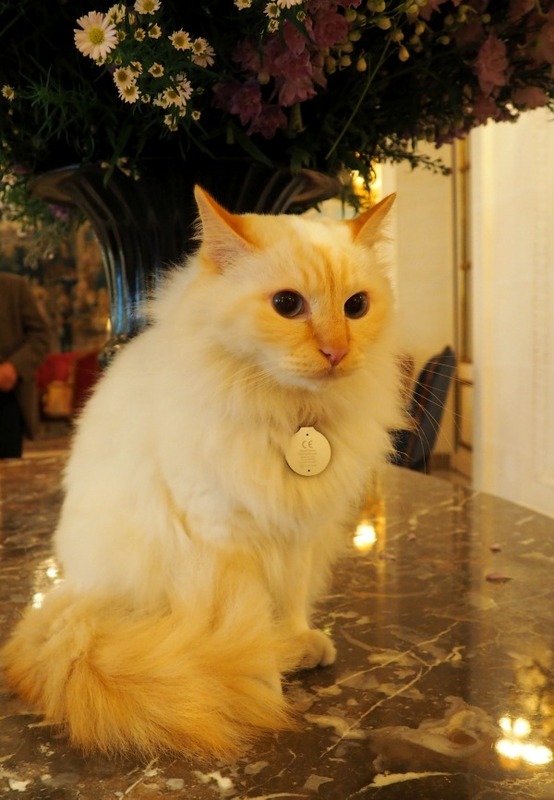 In case you've visited Le Bristol before, you may have been wondering what happened to the second cat. 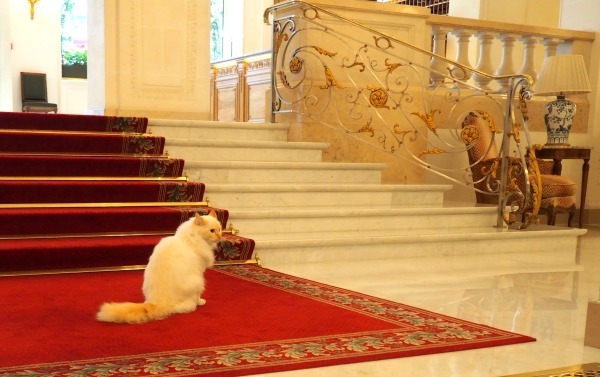 There used to be a second Birman cat at Le Bristol in Paris: Kleopatre. She lived there for several years, but early 2017 she moved to Brenners Park-Hotel & Spa in Baden-Baden in Germany. 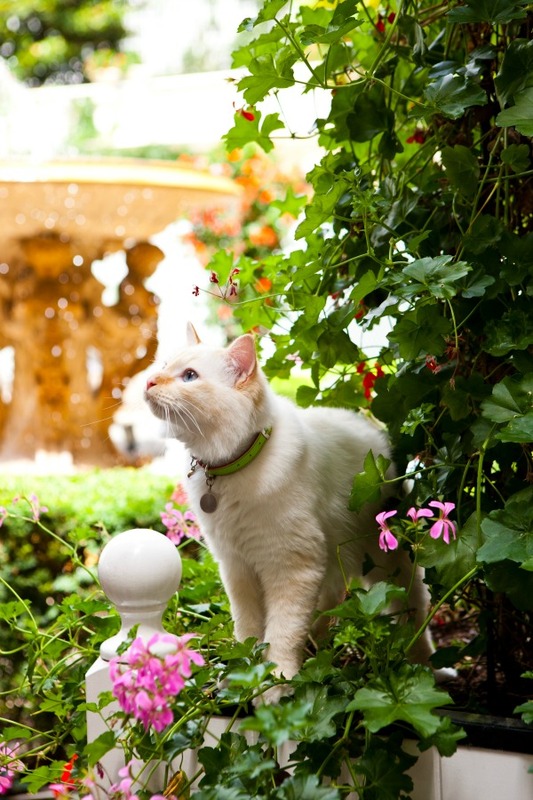 The Brenners Hotel & Spa and Le Bristol are the only hotels of the Oetker Collection that have resident cats. You can find more pictures and information about Le Bristol here, and if you want to book a stay at Fa-raon's palace, you can do so here. 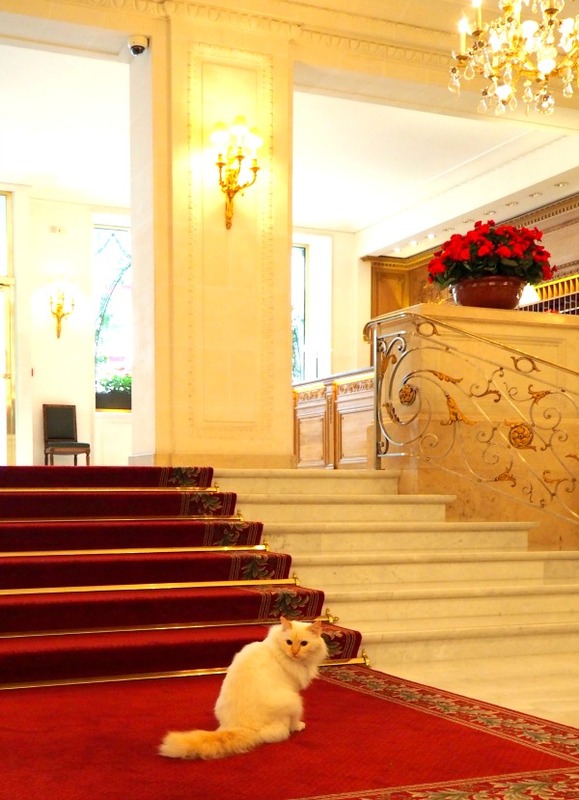 Le Bristol is not the type of hotel where you can just walk in and out to see the cat. However, you are welcome to enjoy an afternoon tea at Café Antonia (and in the Jardin Français if the weather allows) or have a drink at the Bar du Bristol. Also, all their restaurants are open to the audience for breakfast (Epicure *** & Café Antonia) and lunch/dinner (Epicure ***, 114 Faubourg * and Café Antonia), so you have plenty of opportunities to meet Fa-raon. He's a beautiful cat. I like that he has his own private room with drawing of him. Well she is a fine looking cat and I'd let her live in my hotel (if I had one) anytime! Beautiful kitty. Sounds like Matilda at The Algonquin in NYC. Such pretty kitty, looks so soft! 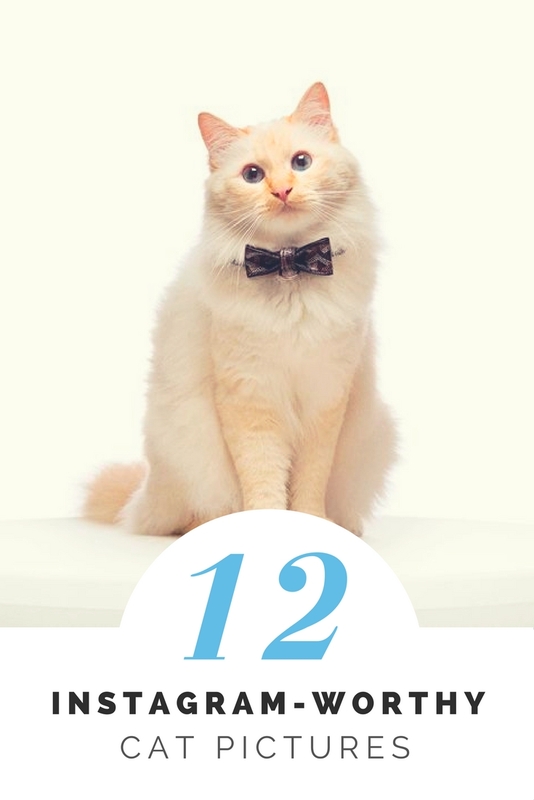 This is one fashionable kitty. The coat is beautiful and his tail just has a great colour and luxury to it. 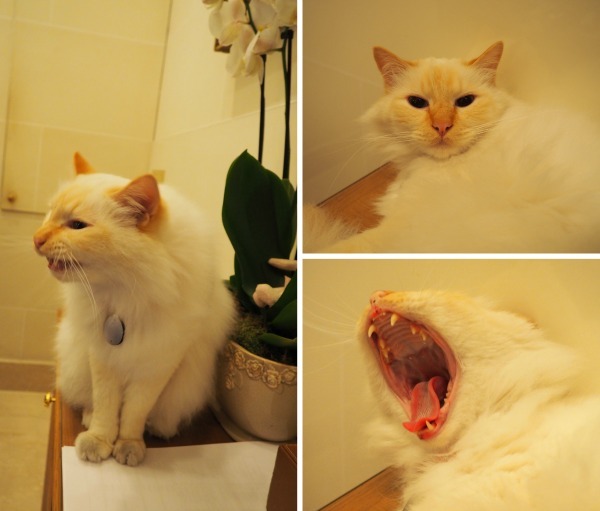 Oh another beautiful post of a beautiful cat. 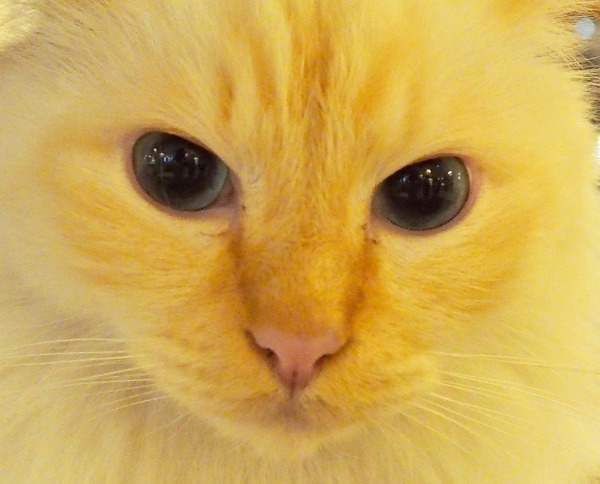 What a gorgeous cat. Every hotel should have a resident cat. 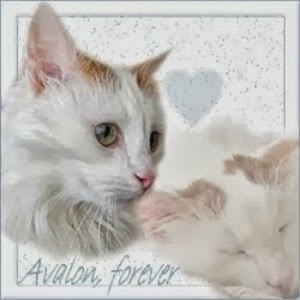 What a gorgeous cat!!!! That hotel is lucky! Hello, he is a beautiful kitty. What a lovely home he has in the hotel. 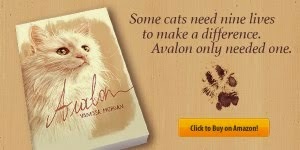 Wonderful post on the resident cat, beautiful photos. 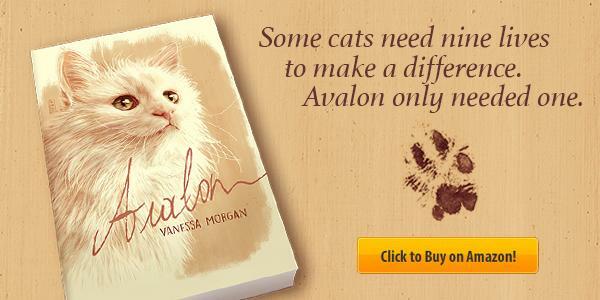 Thank you for linking up and sharing your post. Happy Saturday, enjoy your weekend! That cat has the life! I think they need more cats, what a beauty. 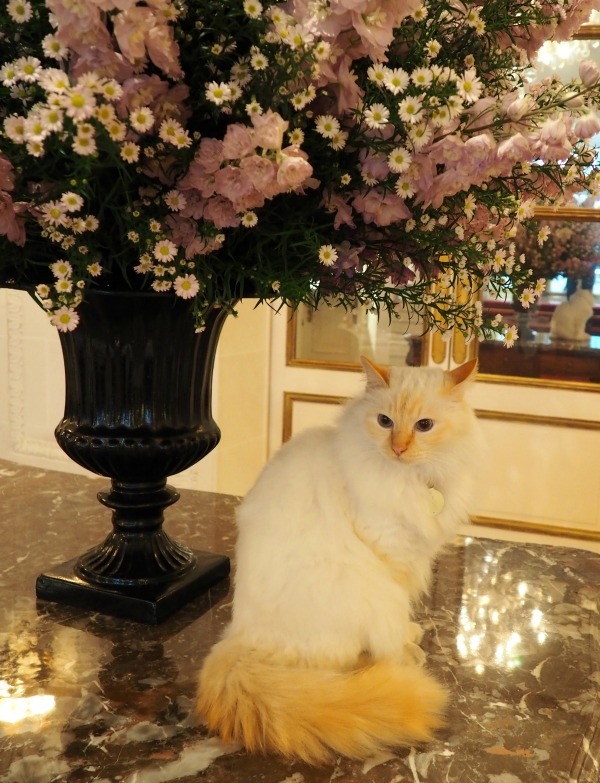 Wow, that hotel is gorgeous and this lovely feline friend fits right in :) I'd love to go visit this place!